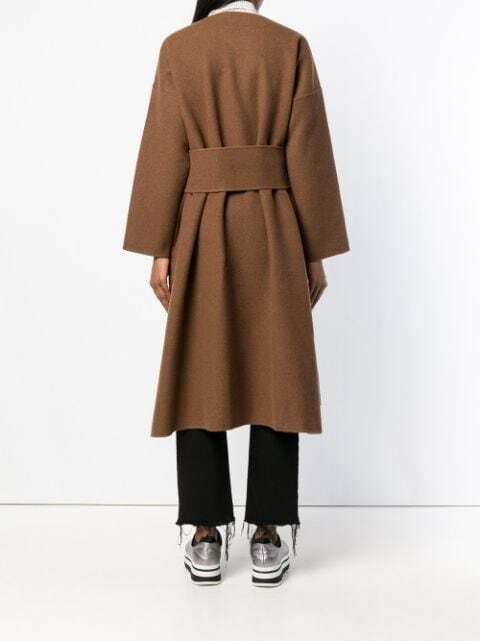 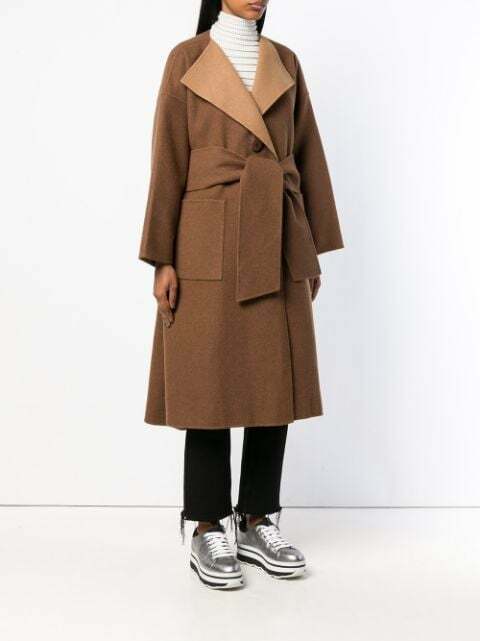 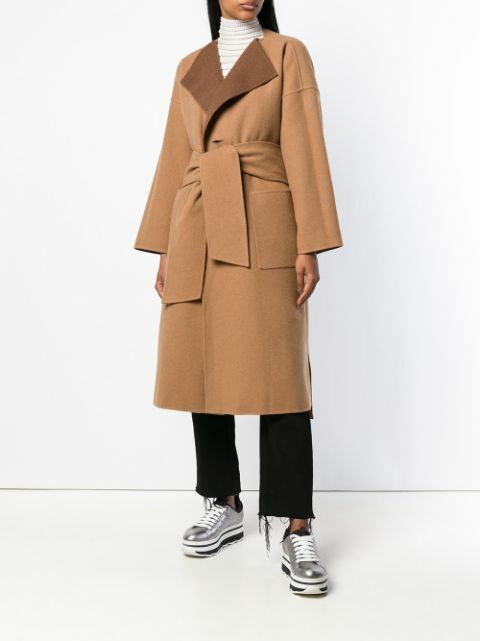 Issey Miyake's coat is designed with the unmistakably classic wrap silhouette. 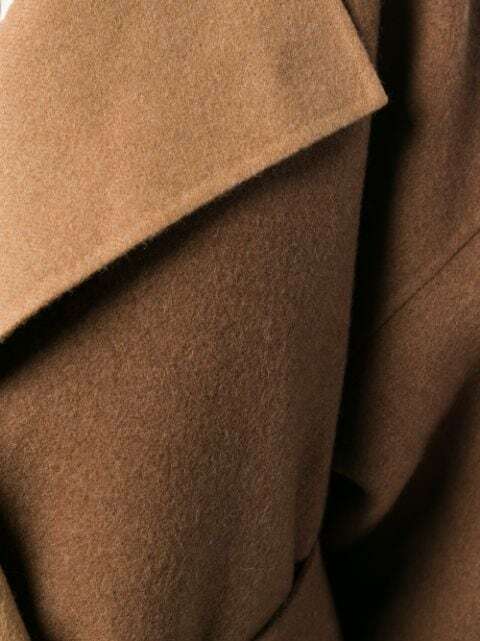 Crafted from tonal brown wool with touches of soft cashmere, this timeless piece features long sleeves, a loose fit and front pockets. 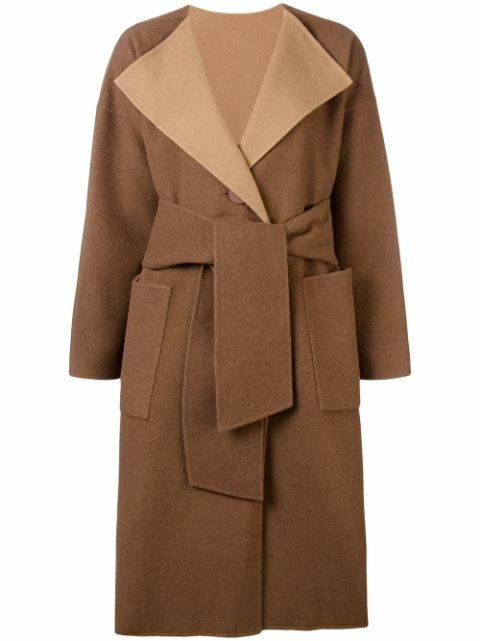 The oversized style is balanced by a waist tie, providing the piece figure-flattering definition.